Michael Jordan did not miss games. Scratch that, Michael Jordan did not miss minutes. After the broken foot that cost him nearly his entire second season, Jordan missed one game in the next five seasons combined. 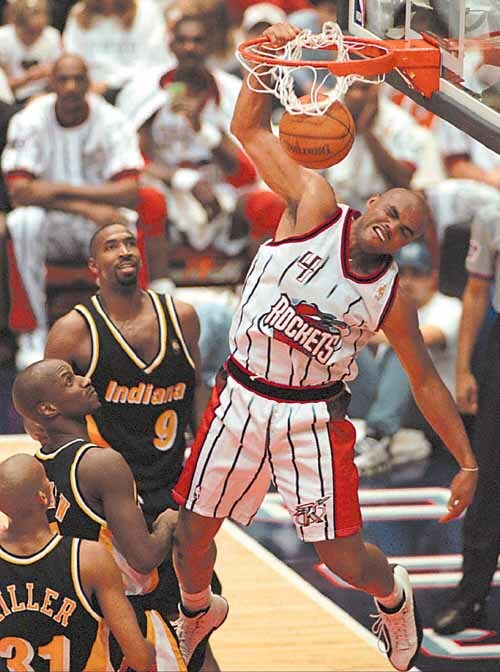 Following his first retirement in 1993, he returned and played all 82 games in each of the second three-peat seasons. Playoffs? Please. Jordan averaged over 40 minutes a game in every single one of his playoff runs. So on June 11, 1997, when Jordan awoke in Utah feeling like death—whether it was flu or, as some suspect, a bad pizza the night before—there was never any question as to whether he would play. With the series tied 2-2, Game 5 was pivotal. Stop. Let’s talk about the shoes for a second, because like Mars Blackmon always says, it’s gotta be the shoes. Following up the flamboyant, patent-leather-trimmed Air Jordan XI was never going to be easy, and Tinker Hatfield—as he is prone to do—went in a completely different direction. Loosely based on a women’s dress boot and the Japanese battle flag from WW2, the Air Jordan XII was a substantial leather hightop, with a contrasting reptile-print piece along the toe that brought out the “rays” on the upper. A carbon fiber plate peeked through on the lateral side, the only real sign of the tech that was within. 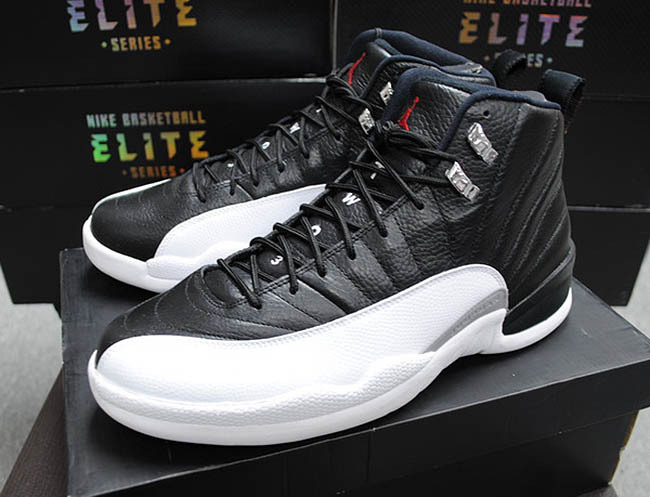 Somewhat traditional look aside, the Air Jordan XII was still a technical masterpiece. That carbon fiber plate worked with a full-length Zoom Air bag—the first in the Air Jordan line—to provide a ride that was both springy and stable. 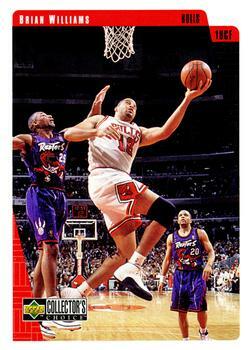 The ride was so good, in fact, that Bulls bigs Luc Longley and Brian Williams also wore the shoe at times, leading Jordan to disparagingly refer to it as “whitewalls on a garbage truck.” Scottie Pippen occasionally wore the XII, too, despite having his own Nike signature shoe, as did then-Rockets forward Charles Barkley. On June 11, though, all eyes were on Jordan. Clearly ill, he fortified himself with fluids on the sidelines and fought through it every one of the 44 minutes he spent on the court. The Bulls needed all of those minutes. He shot 13-27 for a game-high 38 points in a game the Bulls won by two, 90-88. 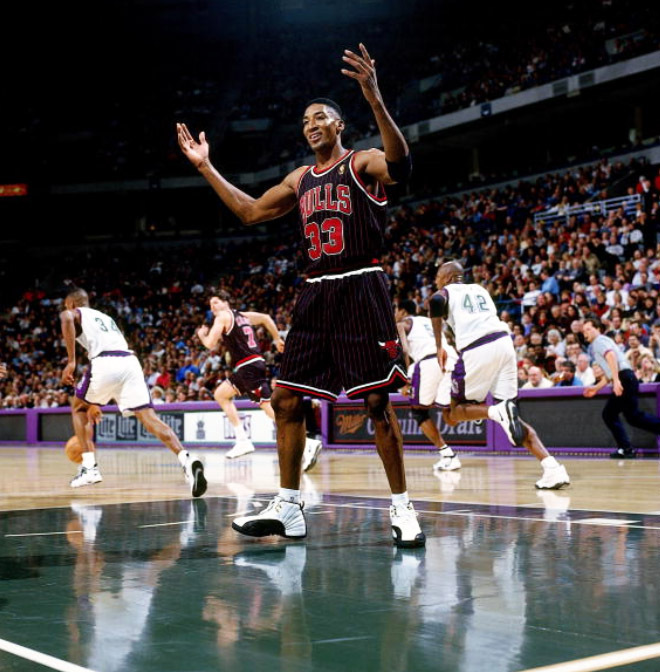 When it was over, Pippen—who played 45 minutes himself—had to help Jordan, spent, off the court. They closed out the Jazz in six for their fifth title. 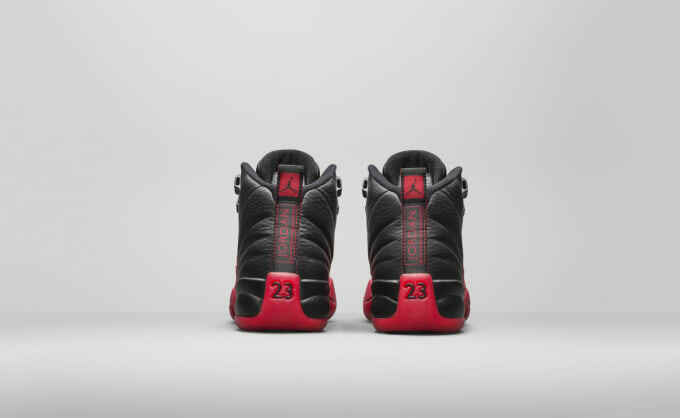 The black and red XIIs Jordan wore that night became inseparable from the game, somewhere along the line being dubbed the “Flu Games.” The black and white XIIs Jordan wore in other playoff games eventually earned the moniker “Playoffs,” despite the fact that he had debuted them at the All-Star Game in Cleveland where he posted the first-ever All-Star triple-double. With the sneakers re-releasing this morning, this isn’t the first time Jordan Brand has celebrated the moment. They went so far as to create a series of emoticons around it in 2009, releasing an updated version of the XII with a black nubuck upper. 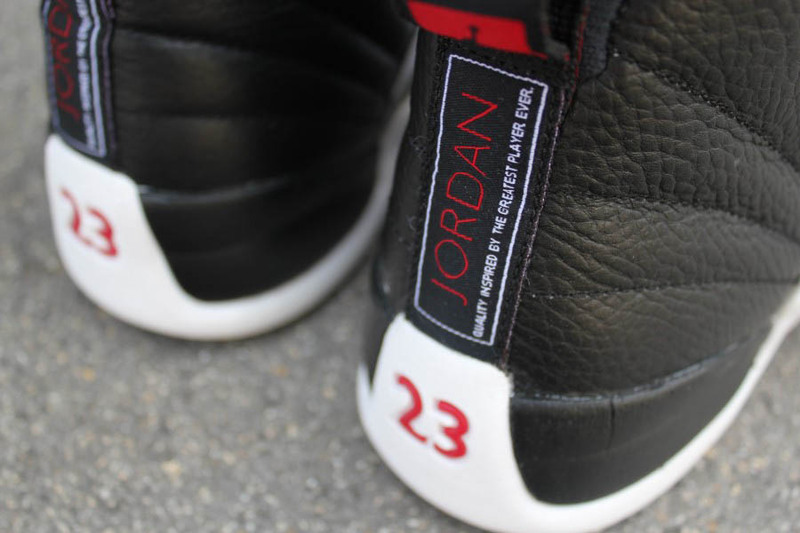 This time they’ll release the shoe just as it was back in 1997, with the rich tumbled leather upper of the original. 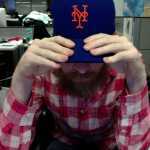 This is better, as the moment itself doesn’t need embellishing. Over the years, the Flu Game has become one of Jordan’s most enduring playoff moments, as memorable as “The Shot” in Cleveland or “The Last Shot” in Utah the following year. It didn’t directly result in a championship or a series win, but the Flu Game still stands as a very human moment—who hasn’t fought through illness to do something?—that just emphasized Jordan’s superhuman abilities. 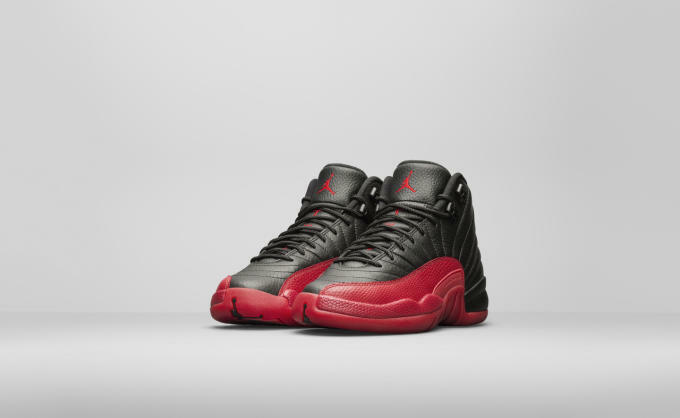 The Air Jordan XII was the perfect shoe for the moment as it turned out, a people’s Jordan for the people’s Jordan. Players of all stripes wore it, proving that it worked as well for role players as it did for—as it said along the back strap—”the greatest player ever.” And Jordan himself, back from that first retirement, wasn’t the high-flying, death-defying slam-dunking force that he had been. Yes, he could still finish above the rim, but he’d also developed a post game, complete with a devastating baseline fallaway, and bought fully into Tex Winter’s triangle offense. 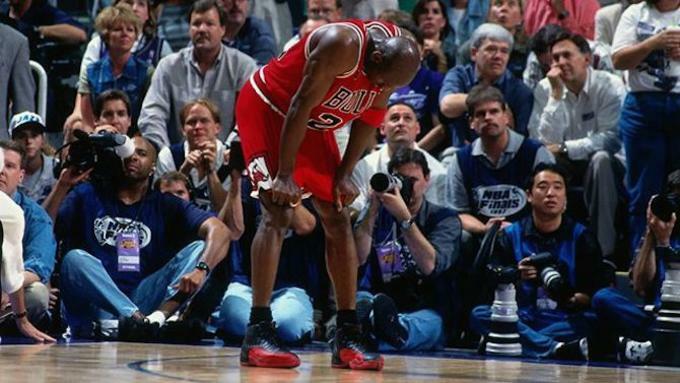 The Flu Game just underscored how much he was just like us—and, at the same time, how different he still was. Like the Jordan XII itself, Jordan’s mature exterior concealed state-of-the-art underpinnings, perfectly suited for anything and everything. 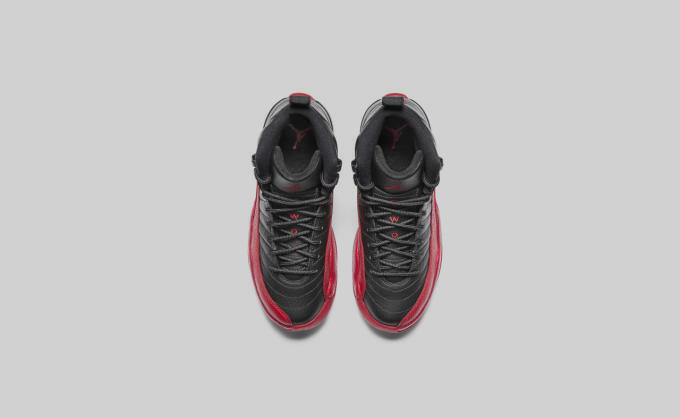 As the “Flu Game” XII returns again, by all means seek out the shoe. But never forget the moment that gave them their name.